Family cooking is about three essential things: nutrition, taste, and getting your food on the table! 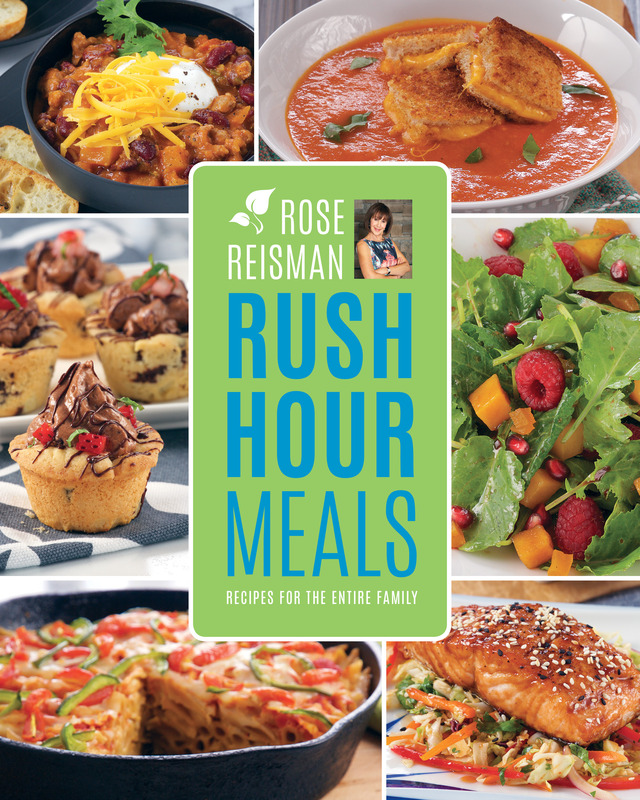 Rose Reisman is a master of simple, delicious family cooking, and Rush Hour Meals skimps on nothing, demonstrating how absolutely anyone can make great tasting, healthy meals for their whole family, all in 30 minutes or less! With expert health advice and tips for keeping children (and fussy eaters) happy, Rush Hour Meals contains 112 fantastic recipes your family will love from fun appetizers like Mac and Cheese Wonton Cups to Black Bean Burgers, Turkey Chili with Butternut Squash, and even all—day breakfast options like Miniature Mediterranean Quiches and Rose's signature Egg and Cheese "Mc" Sandwich. Rose Reisman is one of the best known and most highly regarded cookbook authors in Canada, and in Rush Hour Meals she proves there's no need to cut corners when you're preparing food for your family. Quick and easy is just the beginning!